Founded half a century ago, MS Schippers launched its online presence in 2011 and has expanded it rapidly across multiple countries ever since. In search of a B2B platform that would meet its demanding requirements in terms of scalability and performance, MS Schippers soon arrived at the perfect commerce solution: Intershop. MS Schippers produces around 300 million ear tags a year for use on cattle and pigs. Approximately 10,000 products are available for ordering online. MS Schippers operates 10 localized web shops powered by Intershop. The digitization strategy at MS Schippers is driven by a desire to provide a better quality of service to the farming community through an online offering. The solution should enable easy management of localized B2B stores for ten different countries, each with its own pricing, tax rates, and shipping costs. It should also allow quick and easy creation of additional localized stores for future international expansion. High-performance and internationally scalable multi-channel solution based on Intershop 7. 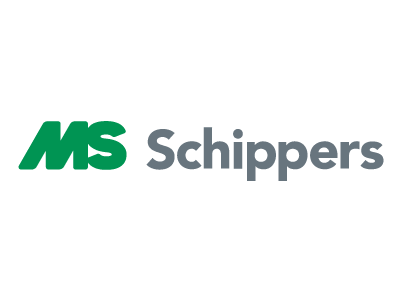 Continuous process improvement: office sales staff at MS Schippers relies heavily on the company’s e-commerce systems for customer assistance and order input—which means they also provide excellent feedback for improvement. Service portal: customers can view their entire billing history, place repeat orders, create lists of favorite items, and arrange returns. Intelligent app enabling farmers to monitor livestock growth. Other functions include easy identification of nutritional requirements for cattle, sheep, and pigs. Multi-channel: the traditional printed catalog and online store complement each other perfectly. Customers can browse the catalog at their leisure and then order directly through the store. SAP integration with the Intershop commerce system allows customers to set up a personal account in the online store and view orders, etc., on demand. We wanted to sell online because the customers are increasingly getting used to doing everything online. In their private life, they are accustomed to services as offered by Amazon and Zalando, and therefore begin to wonder why in the B2B environment they should still do everything in an old-fashioned way.